In the six months since I last updated this blog, my microphone has gotten a tiny bit larger. Thanks to a few journalists interviewing me about the landscape of today’s children’s and young adult literature, and being invited to write occasional children's book reviews and op-eds, my words are reaching an audience far wider than I could have imagined just one year ago. Thank you for sharing my initial research and ideas-in-progress with your friends, and thank you for sharing and attributing my ideas more broadly to the general public. As I complete my initial work on The Dark Fantastic this year, I hope to continue to grow this site as a resource useful for anyone interested in theorizing, researching, and critiquing diversity in speculative fiction and media. Please watch this space for a redesign that will be easier on the eyes soon. This was a post that I intended to write in September 2014, but life being what it is, have only just been able to edit and finish today. The serendipity of finding the critic’s path means that I now have a special interest in promoting the work of diverse children’s and young adult authors, illustrators, screenwriters, and filmmakers. That serendipity has led me to look beyond my individual perspectives and lived experiences to the larger culture. Here's why I think we need to diversify the metaphors we use to read the word and the world (Freire & Macedo)... and why my next step will be to participate in the 25th Annual National African American Read-In, sponsored by NCTE's Black Caucus, during February 2015. 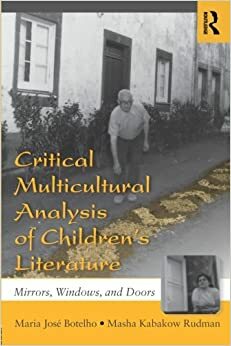 A key reference that I use for my children’s literature master’s seminar, Botelho & Rudman’s Critical Multicultural Analysis of Children’s Literature, begins with a chapter that inspires conversation. 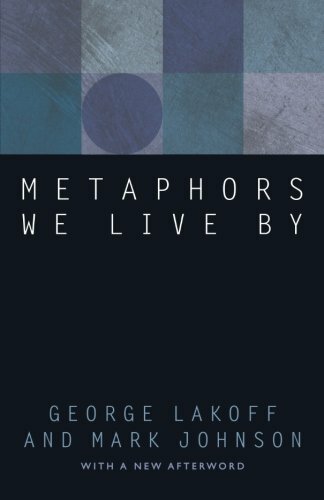 The chapter's title, “Metaphors We Read By," was itself inspired by another book, The Metaphors We Live By (Lakoff & Johnson, 1981). What are the metaphors we read by? I ask myself and my students every fall. This prompts us to think about not only what we read and why we are reading it, but also about what happens during the reading process itself. In the first chapter, my students encounter critical questions that we spend the balance of the semester thinking about. These questions expose some of these previously hidden "metaphors we’ve been reading by" all our lives. What (or whose) view of the world, or kinds of behaviors are presented as normal by the text? Why is the text written that way? How else could it have been written? Who is silenced (and heard) here? Whose interests might best be served by this text? What ideological positions can you identify? What are the possible readings of this situation/event/character? How did you get to that reading? This way of reading children’s and young adult literature (and media for kids and teens) is new for many people. This is because when we first encounter youth literature and media early in life, we are very busy learning how to read "the word and the world" for the first time. Of course it doesn’t really occur to us to ask critical questions of most texts when we are young. Generally, we’re taught to accept the book, the story, the film, the comic strip, or the television program as presented. We form habits, and those habits become the metaphors we read by. But the metaphors we read by are extremely important. When we do not understand how we are reading the word and the world, we run the risk of becoming incredulous toward other people’s stories, other people’s symbols — and other people’s metaphors. In The Postmodern Condition, Lyotard famously noted the postmodern West's incredulity toward metanarrative. Recently, while grappling with the seemingly intractable problem of making the case for diverse literature, I began to think aloud on Twitter. Might our culture's refusal to value diverse stories and perspectives be indicative of our incredulity toward the metaphors of others? I slowly came to this realization during the Fall 2014 #BlackLivesMatter protests. You see, the dilemma for people with darker skin for a long time has been the necessity of convincing those in power that we are human without many available avenues for doing so. But convincing others of our humanity often has meant the difference between life and death (or having a decent quality of life) for many of us. Therefore, literacy and communication have been essential skills. Generally, when describing an experience to someone who hasn’t had that same experience, one uses either direct evidence or a metaphor. "This is proof of what happened" is direct evidence. The hashtag #ICantBreathe was direct evidence that evolved into a metaphor. Some of the most powerful metaphors have been hashtags on social media that collectively speak the truth to power. Black Americans have been doing this critical work with metaphor since the time of the slave narratives. What often isn’t emphasized is that the writers of those narratives used metaphors common to those times — the language of the Bible. Although not all people in the United States before the Civil War were Christians, and there was no state religion, most were familiar with Biblical stories and allusions. Enslaved writers and freed activists used imagery familiar to their audiences to communicate their meaning -- and articulate their common humanity. We live in a world that is far more diverse and open than the world of the mid-19th century. However, this means that there aren’t as many common metaphors available for us to use to communicate our experiences across differences. Thanks to being born, raised, and educated in Black contexts until I was nearly 30, I think it took me an unusually long time to realize how difficult it was to communicate not just the value of my culture, but of our very lives, to people who had already formed ideas about Detroit, or Black Americans, or people from the working class. I had to diversify the metaphors that I used to share my past experiences, with mixed results. Beyond diversifying the texts we're reading, we need to revisit the metaphors we've been using ever since we learned to read. Diversifying the metaphors that we read by will not be easy. We sometimes pretend that the work of "making the world anew” (Hughes) should feel good, and can be done with platitudes, best wishes, comfort, warm fuzzies, and kumbaya sentiments. But the work of making new worlds always begins in the imagination. We have to imagine it before it can become tangible. But the road to imagination is difficult. After all, the centuries of history that led us to this point were difficult. Imagining alternate points of view may cause discomfort. The centuries of history that led us to this point were far from comfortable. Imagining alternate points of view may cause trauma. The centuries of history that led us to this point were most certainly traumatic. Imagining alternate points of view — and transforming the metaphors we read by — has proven to be quite difficult. But the imperative of sharing diverse stories is worth it. At its November 1989 meeting, the Black Caucus of the National Council of Teachers of English accepted the Issues Committee's recommendation that the Black Caucus sponsor a nation-wide Read-In on the first Sunday of February. At the request of educators, Monday was designated for educational institutions. Dr. Jerrie Cobb Scott, an active member of NCTE and the Black Caucus, brought the idea to the Committee. It was envisioned that following a decade of rigorous campaigning for participants, the African American Read-Ins would become a traditional part of Black History Month celebrations. The commitment for nation-wide promotion extends from 1990 to the present. In 1990, the National Council of Teachers of English joined in the sponsorship of the African American Read-In Chain. The campaign has also been endorsed and supported by the International Reading Association. Persons receiving African American Read-In packets share the information with others, thereby creating a "chain" of readers whose numbers would grow to well over 5.5 million by the year 2014. Next week Sunday and Monday (Sunday, February 8 and Monday, February 9), millions of people all over the country will be reading their favorite African American books at home, at church, in neighborhood and community centers, at schools, on playgrounds, at the park or the beach, while in transit or traveling, from their smartphones, tablets, and computers. NCTE would like to count the number of books being read nationally, so if you’d like to host a Read-In, please visit the site and fill out a card. The read-ins will occur all month long, so if you can't make it next weekend, don't worry! Just "get in where you fit in." I hope that you’ll consider joining us this month for the twenty-fifth year of our historic Read-In. I also encourage others to think about ways that we might extend this daily spotlight on diverse authors so that it’s year round. Diversifying the metaphors that we read by is one of the most important things that we can to in order to attain equity in our nation.